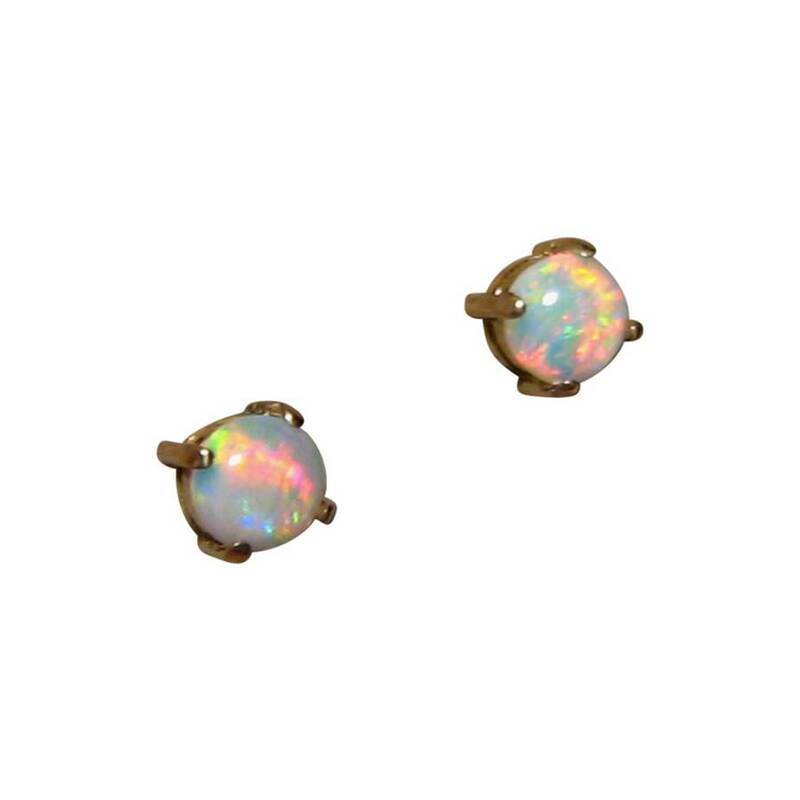 A pair of Opal earrings in 14k Yellow Gold with round Crystal Opals that are bright and colorful. 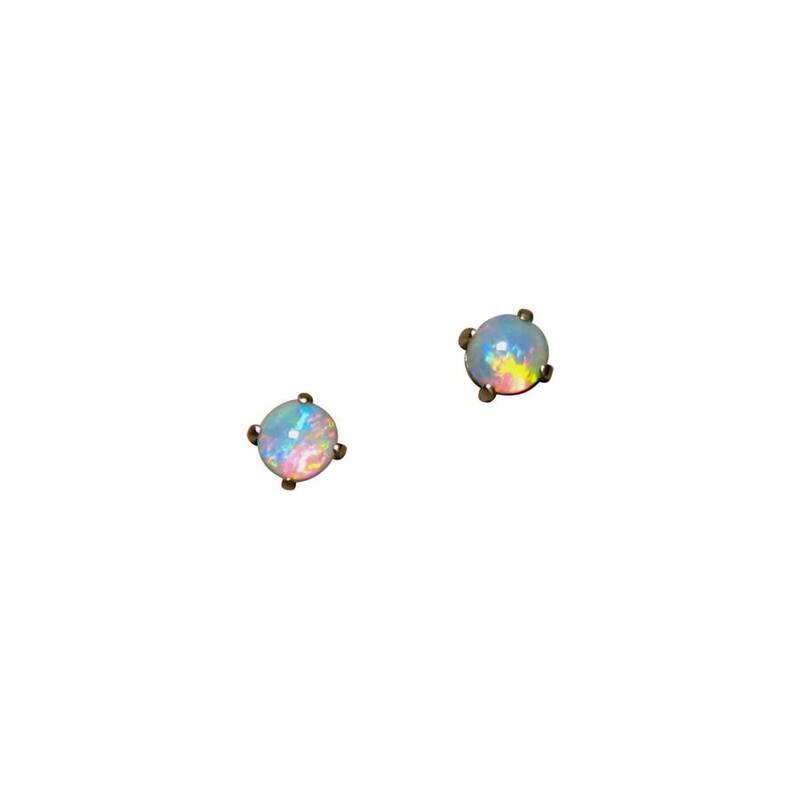 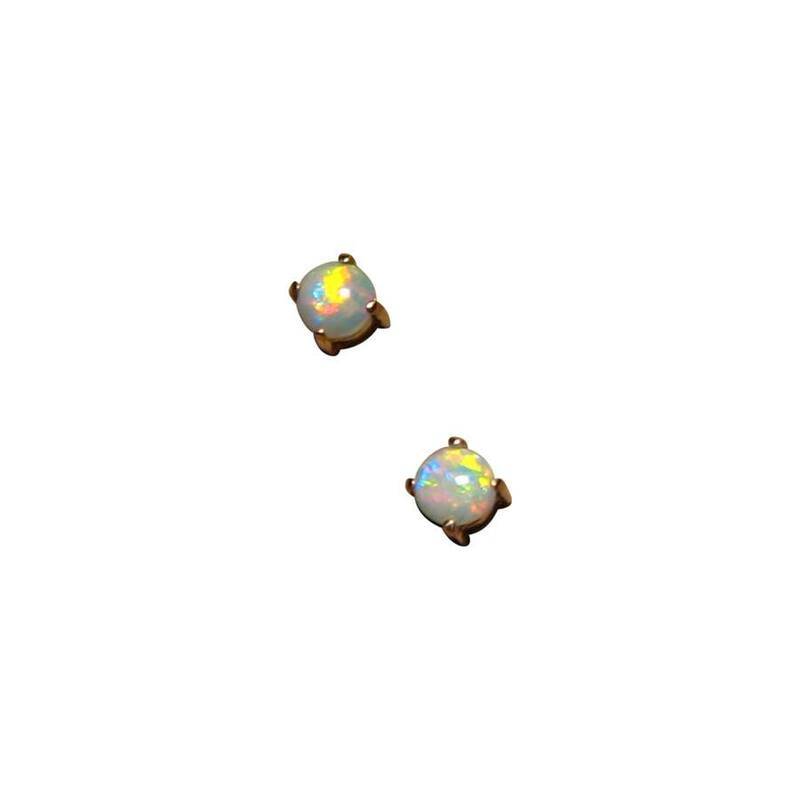 A beautiful pair of Opal stud earrings that display bright Red, Yellow and Green in a Rolling Flash play of color. 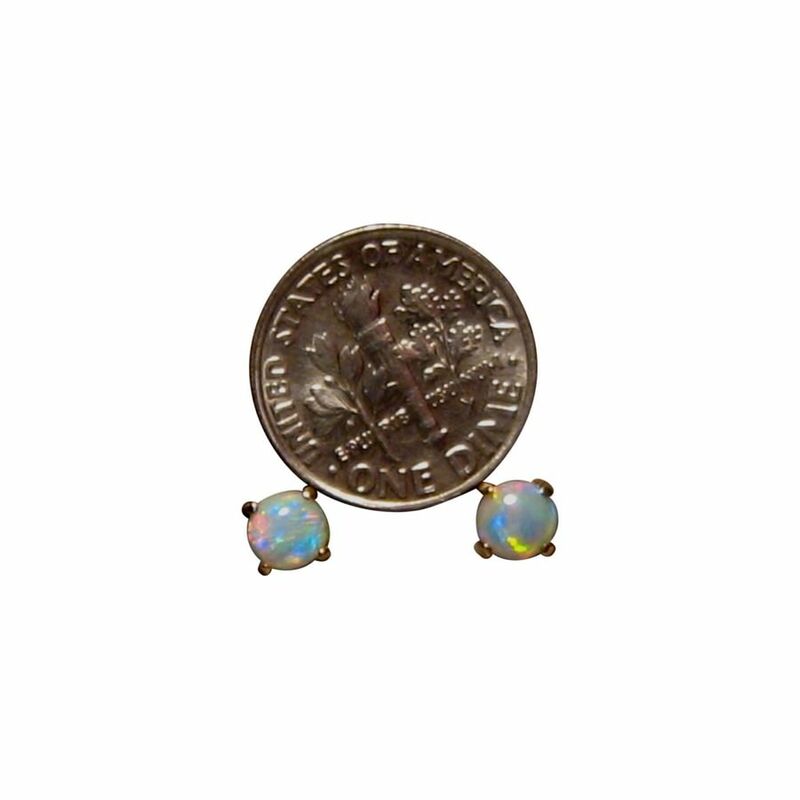 The round Coober Pedy Crystal Opals measure 5 mm each and are prong set in 14k Yellow Gold with comfort fit butterfly clips to secure to the ear. 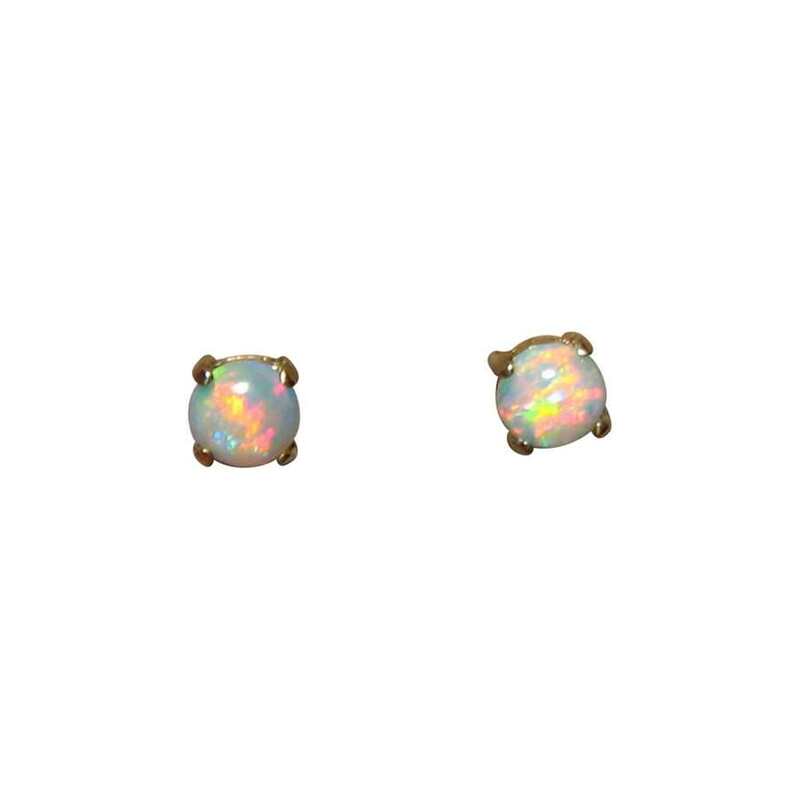 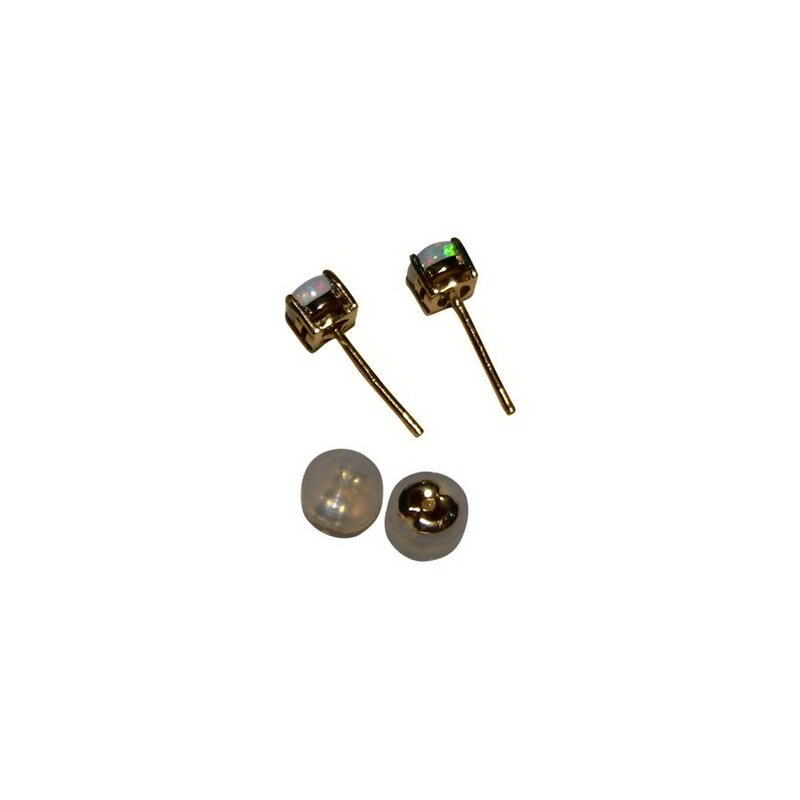 A classic style of earring that add a touch of color to any outfit and are ready to ship now.